If you’ve ever tried to lose weight you’ve experienced cravings. 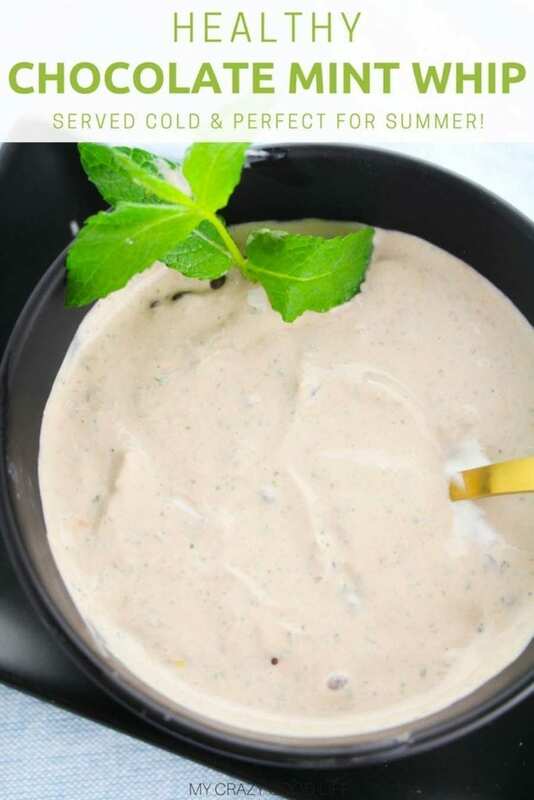 This chocolate mint Wonder Whip recipe is a great way to fight those cravings! It’s a healthy protein packed dessert or snack that is delicious, no bake, and makes a great pie filling as well! What is Wonder Whip and why am I seeing it everywhere?! Fear not! If you haven’t tried or heard of Wonder Whip yet, you are in for a treat…pun intended :) I’ve posted a couple of Wonder Whip recipes now, like this Key Lime Pie version and a tasty Lemon Pie Filling Wonder Whip. I encountered them originally while working my way through some materials for the 2B Mindset, program which is new from Beachbody. The creator of 2B Mindset and Wonder Whip, Ilana Muhlstein, shared a similar recipe initially and I just had to try it. Once I tried it I was hooked and had to come up with some variations to share with you. 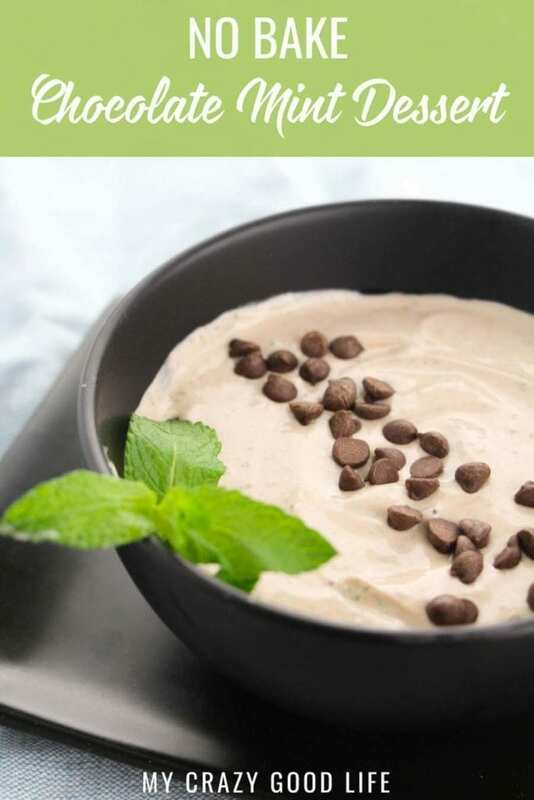 How does this chocolate mint Wonder Whip fit into the 21 Day Fix & 2B Mindset? 1 sweetener teaspoon for the Stevia. 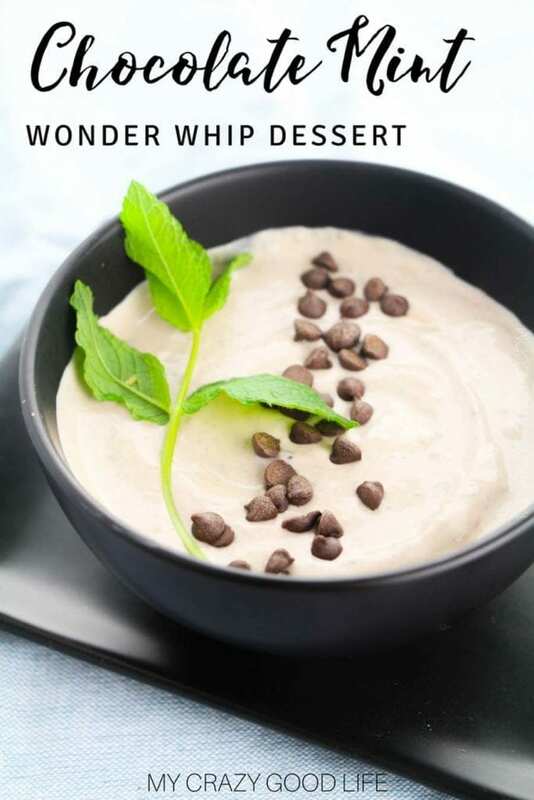 You’ll find, like I did, that Wonder Whip recipes are amazing and part of the reason why I love them so much is that they’re incredibly easy to make. It’s just a few simple steps and you have a batch of dessert that you can enjoy all week long! Combine all ingredients except nibs/chips in a small blender and mix until fully blended. Taste and adjust the mint and sweetener to taste (I used stevia but use your preferred sweetener). Garnish with cacao nibs or carob chips. 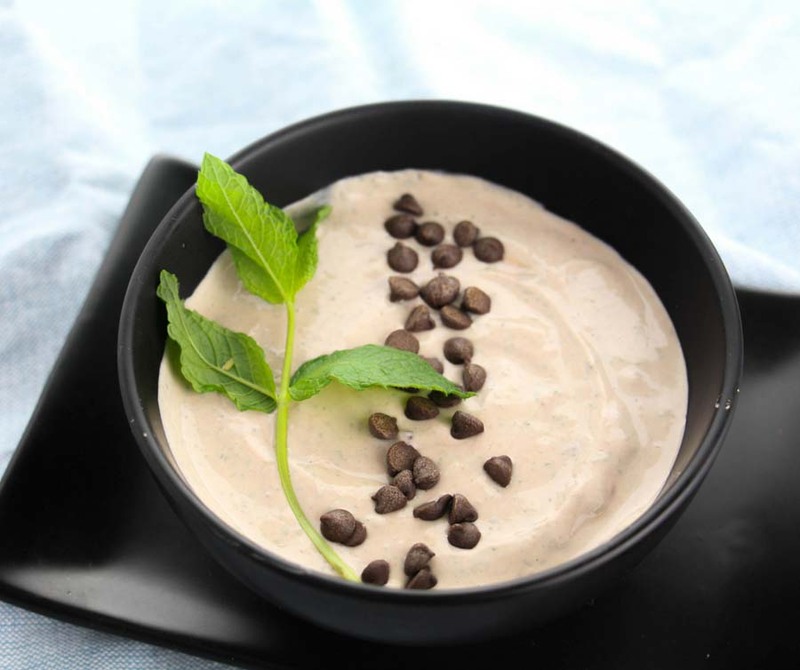 Is this chocolate mint Wonder Whip a healthy dessert? Absolutely! It’s very protein rich because of the greek yogurt and it’s clean! You won’t find any weird or strange ingredients that you can’t pronounce. It’s great for the 21 Day Fix program and 2B Mindset but it’s also great for other Beachbody programs or healthy lifestyle and nutritional goals. 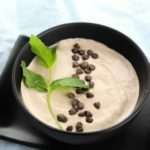 Chocolate mint Wonder Whip is a tasty way to curb those sweets cravings without having to stray from your plan. How long does Chocolate Mint Wonder Whip keep in the fridge? I have successfully kept Wonder Whip recipes in the fridge for about a week. I’ve heard that people have great success with making one batch at the beginning of the week to snack on throughout the week and you can certainly do the same. Another great option is to use the egg bite molds and freeze it into perfectly sized portions that you can thaw out when you want them! You can leave out the cocoa powder if you want plain mint flavor. 21 Day Fix: 1 Red 2B Mindset: A great protein option for breakfast or a snack! When making my Wonder Whip recipes I use Nonfat Plain Greek Yogurt or Oikos Triple Zero Vanilla. Both of these healthy options taste great in Wonder Whip recipes and give an equally delightful texture! Have you used peppermint extract and if so, how much? Hi there, I have not but I bet you easily could! I’d start super small – like, maybe 1/16 of a teaspoon?